Greetings Blogosphere, I’m making tons of progress! 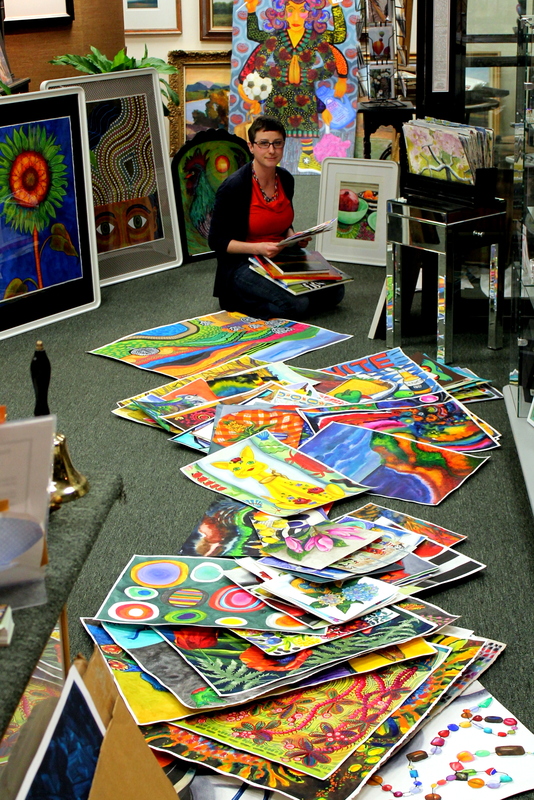 My dear mother, who also happens to be a picture framer and art gallery owner, sat with me for hours as we went through my entire year’s worth of art. We created piles. One pile was considered the CREAM OF THE CROP. We considered these pieces print-worthy and definitely worth framing. The next pile was considered “VERY GOOD” and also worth picture framing. The third pile was considered “MEDIUM GRADE”. 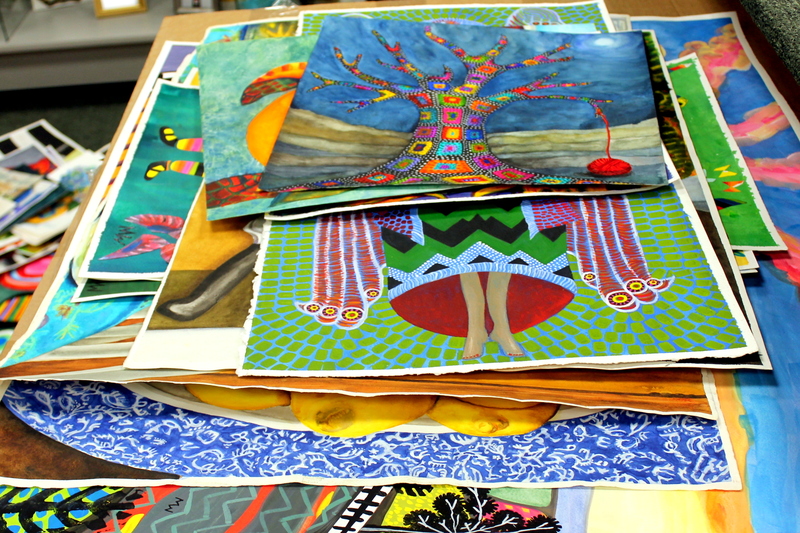 These pieces I am going to frame myself which means they are sure to be super quirky and very colorful! The final pile was considered “bin art”. This means we couldn’t exactly foresee who might want these works in particular (they are a little weird or simply color studies or experiments), but if jewelry design has taught me anything, that which I deem “not a hit” seems to be a hit to someone out there! Those will be priced and stored in bins at my opening. So, my 365 show should have something for everyone – all economic brackets and from serious pieces to the absolutely absurd! Currently I am securing a Rhode Island exhibit date and location. I should have that in the next few weeks. I am trying to find an affordable company to make notecards of some of my birds and botanicals. Does anyone know of a printing company they would like to refer? I want to keep the price compatible with greeting cards. and other than that, I will be FRAME, FRAME, FRAMING! So put it on your calendars, MAY 4th 2-5 pm. 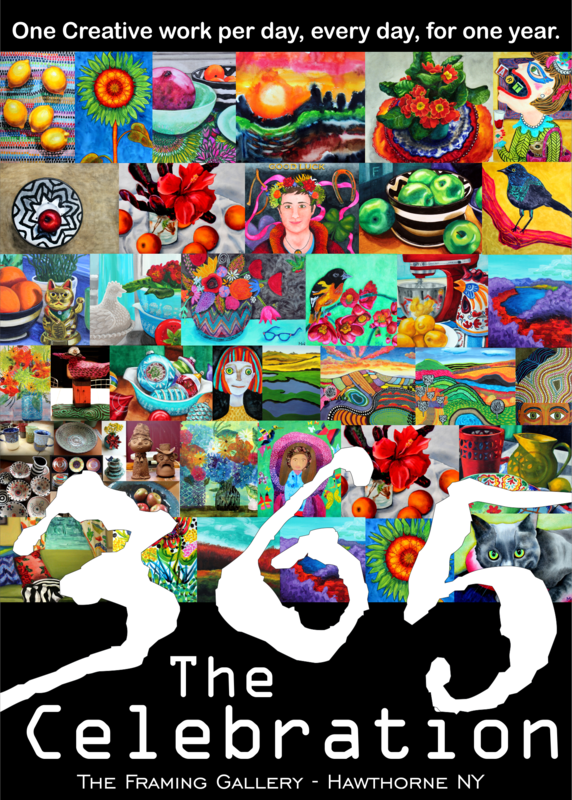 This will be my first 365 Art show opening, RI date to follow. I will be working towards opening an ETSY store for jewelry, prints and pottery (baby steps!) and I look forward to clearing my desk so I can get back to art making. I have really missed blogging and hope to get into a new rhythm. Thank you all for your support, I just can’t wait to CELEBRATE!